It’s Minne’snow’ta you’re bound to wear a jacket at least 3 months out of the year maybe 2 months for the brave ones. 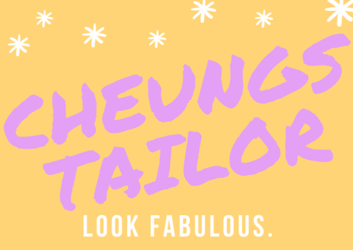 During the winter months Cheung’s Tailor Alterations perform upwards of 6 to 10 zipper repairs a day! We have thousands of zippers in varying colors, sizes, and types in stock so you don’t have to worry about looking for the perfect one. Insulated jackets; down, down filled for lightness and warmth, the heavier in cubic inch per one ounce can be loftier and warmer. Sports and Construction jackets; Carharatt jackets to snow mobile FXR jackets. Light leathers; anything from Wilson Leathers to Wool (too thick and heavy leathers may not fit through our machine come chat with us and we can give you a better idea or point you in the right direction! New zipper head replacements; not a common fix maybe 1 in 10 zippers. Generally the integrity of the zipper is warn down. New Velcros. You know that sticky stuff that adheres the front panel over your jacket or on the cuffs so wind doesn’t go into your jacket. Yes, we can replace it. Patching holes from top to bottom.